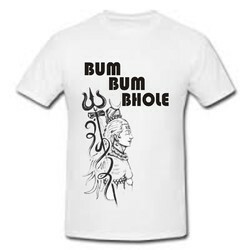 IT IS PRINTED T.SHIRT. IT IS AVIABLE IN DIFFERENT SIZES. AND DIFFERENT COLORS. Color orange, blue , white, red etc. It is made by dry fit fabric. it is availble in different sizes and different colors. 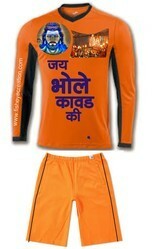 It is complete set- T.shirt with shorts. 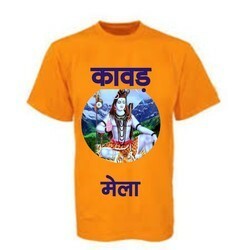 It is Kawad T.shirt. it is available in cotton and dry fit fabric. It is available in different sizes. It is made by dry fit fabric. 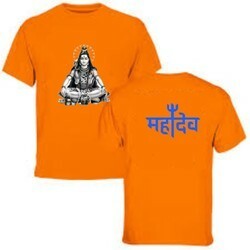 It is printed tshirt with shiv pic & slogn.It is availble in different sizes and colors. 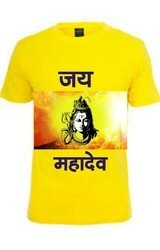 It is fine quality T.shirt. It is printed on front and back. It is available different sizes and colors. It is Kawad print T.shirt with shorts. 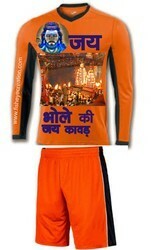 Name may be printed on back side. It is available in different sizes and colors. Looking for Kawad T.Shirt ?